100% Gildan Cotton T-shirt with an inspriational message. 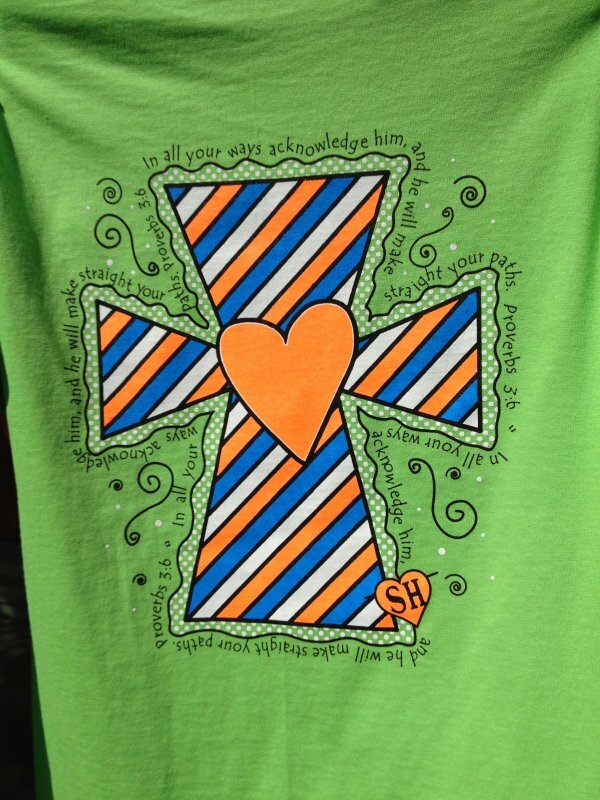 The back of this lime green t-shirt features a cross with diagonal stripes of florescent orange, blue and white. The cross is bordered by tiny white polka dots and accents. The verse written several time around the cross is from Proverbs. In all your ways acknowledge him, and he will make straight your paths. Proverbs 3:6. The front of the t-shirt features the same cross as the back in two colors and without the verse. Enjoy and spread the word by not saying a word.